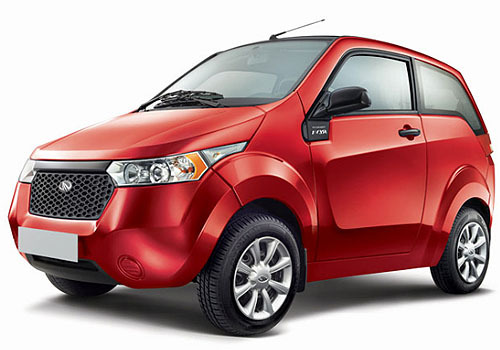 The D-Day for Mahindra for the launch of its electric hatchback, Mahindra Reva E2O is not very far. The car maker has decided to launch the car on 18th March 2013. The car has been under production since a long time and finally the day has been decided. This will be the first electric hatchback in the country, which would be able to adjust four adults. The car price will land around Rs. 4 lakh to Rs. 6 lakh and would give a tough competition to all other petrol and diesel cars. Everyone knows for a fact that fuel prices are touching the sky and in this scenario launching a full electric hatchback is certainly the best thing the firm could do right now. Talking about the specialties of Mahindra Reva E2O, the car will sport lithium ion batteries, which promises a sufficient amount of power and torque along with a good acceleration and pickup. Apparently, the hatchback would give a run up of 100 km in single full charge accompanied by a top speed of 103 kmph. Apart from this, the Mahindra Reva E2O is also likely to feature an emergency feature, which will allow the driver to send a text to the central server, which would activate the reserve battery. The air conditioning fitted inside will also work efficiently and would cool down the cabin in a matter of few minutes. This new electric hatchback from Mahindra is currently being produced at the new production facility of the company located in Bangalore. The plant keeps the capacity to produce 30000 cars annually. Also, the company is planning to establish charging stations at about 100 places in Bangalore in order to make the charging easy for the owners of Reva E2O.